2018 will be a busy year for Canon's announcements. In addition to new Rebel cameras and lens coming before the CP+ Show in March, the company is expected to release a new fast, prime lens for the EOS-M mirrorless camera. Most probably in the 35mm focal length, roughly equivalent to 50mm on a full frame sensor. 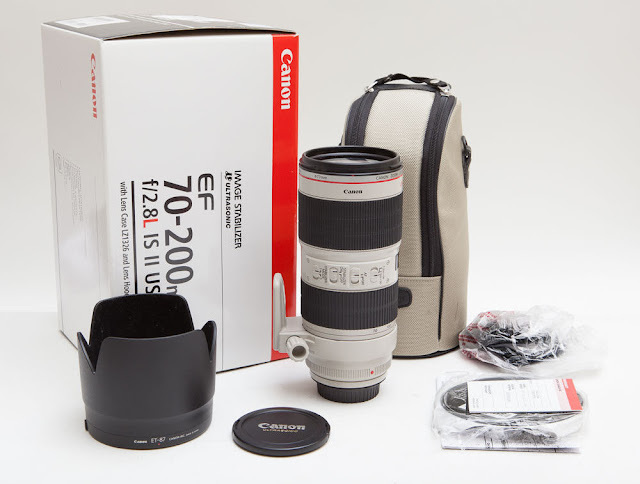 More interestingly is the replacement to the venerable EF 70-200mm f/2.8L IS II lens. This is a stable glass for many kinds of photographers, from wedding to wildlife. Too early to know what the new lens will come with but both pieces of glass are expected around the time of the Photokina Show in Germany in September. Keep checking back for the latest information.